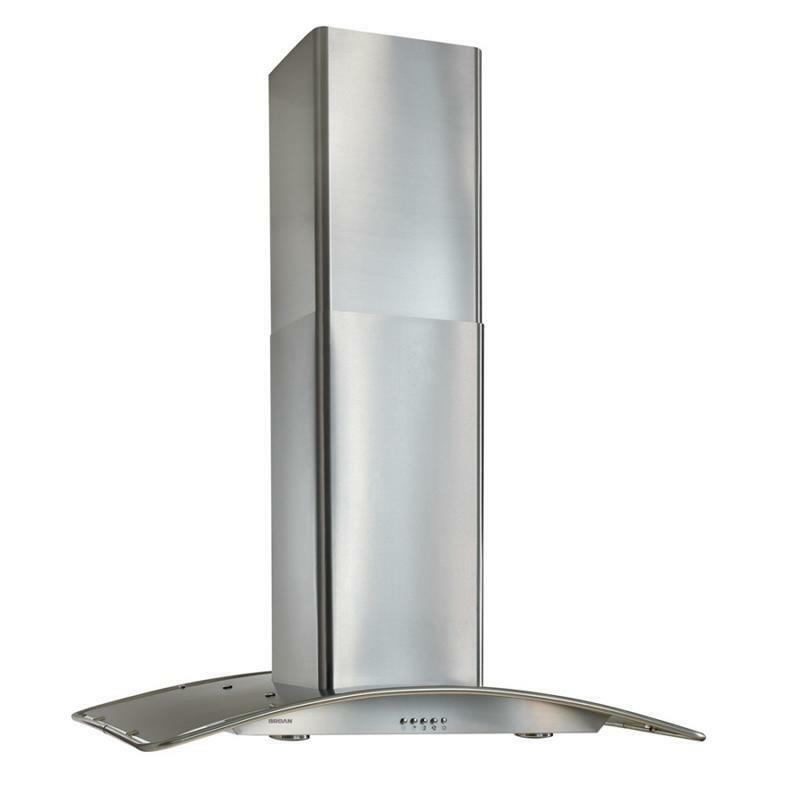 This Broan Island range hood has a brushed stainless steel finish. Its gently curving metal canopy creates a dramatic, contemporary appearance and an open, airy feel. Its dishwasher-safe aluminium filters feature a quick-release latch and professional style appearance. • Minimum hood distance above cooktop must not be less than 30".